Teaching, as well as learning, is a multi-dimensional affair. While we, ourselves, are keeping the structure of the language in mind, we need also to remember the learner’s need for a program that is at once: structured, sequential, cumulative and thorough. It is to be kept constantly in mind, also, that we both want education, for understanding, to make the principles clear, and training, or practice, to make the elements stick and their processes automatic. The skills are to be learned through all the avenues of learning open to the student – visual, auditory, and tactile-kinesthetic, in interaction (our familiar multi-sensory approach). But although we use all the input and output modalities, we do it with the full realization that clear vision, sharp hearing, and controlled muscles are the necessary servants. Yet the mind is the master. It is, in the end, not the eye, ear, voice nor the hand but the brain which learns both to read in order to understand, and to write that others may read. And so we teach the language as it is to the child as he is – a human nervous system with a unique configuration; a thinking, learning person. This will take all the knowledge, skill and wisdom we can muster in the years it takes to become professionally competent, and endlessly fascination lifetime challenge. Dyslexic students need a different approach to learning language from that employed in most classrooms. They need to be taught, slowly and thoroughly, the basic elements of their language – the sounds and the letters which represent them- and how to put these together and take them apart. They have to have lots of practice in having their writing hands, eyes, ears, and voices working together for the conscious organization and retention of their learning. 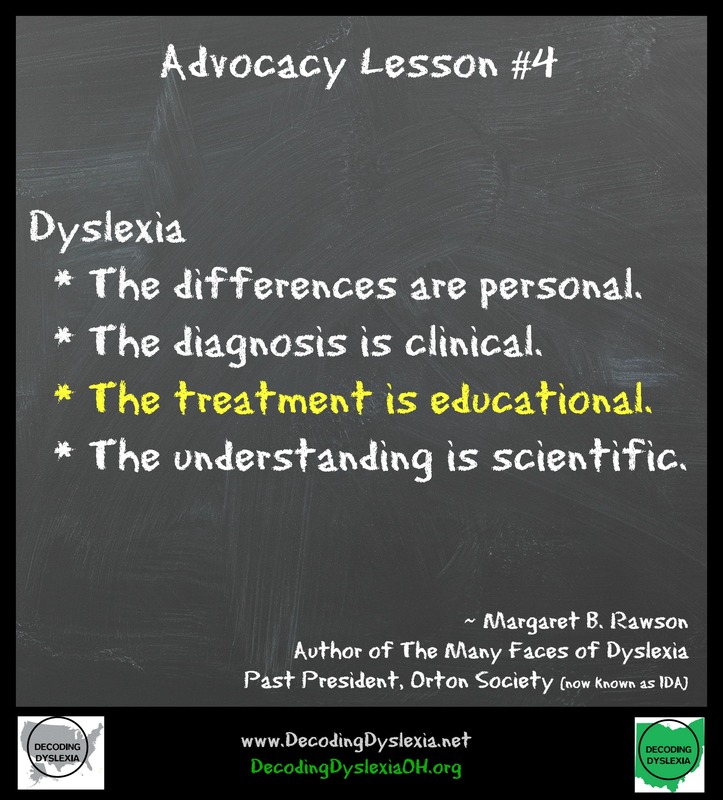 We believe that, given time, persistence and adult faith and support, almost all dyslexic persons can learn to read as well as they can think, and to spell and write at least passably. The earlier we start in the child’s school life, the easier it is, in general, but it is never too late to start, and it is always too soon to give up as long as the student can see results and keep working. This is not a quick or simple task, and there is no magic wand. But it will work, and it is both necessary and well worth doing, as almost every well-taught learner will agree.